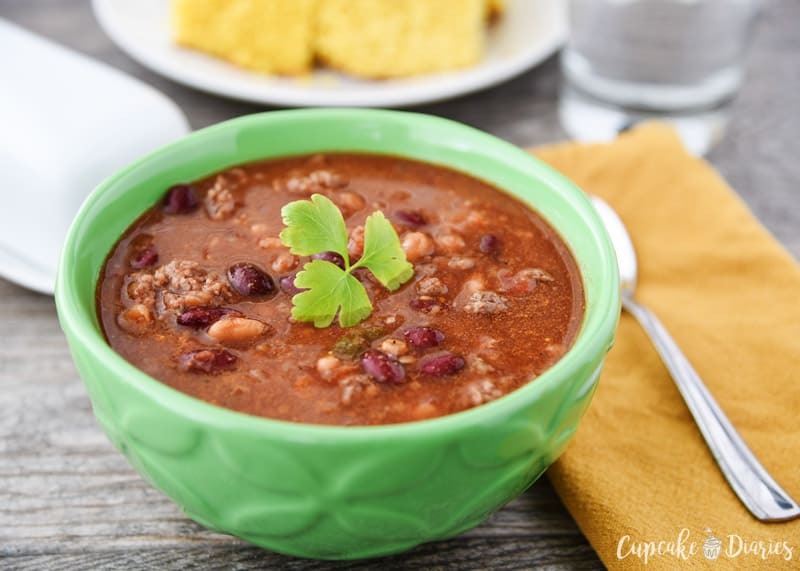 Chili has got to be one of my favorite things to eat during the fall and back-to-school time. Nothing beats a bowl of chili with a hot piece of cornbread on the side! 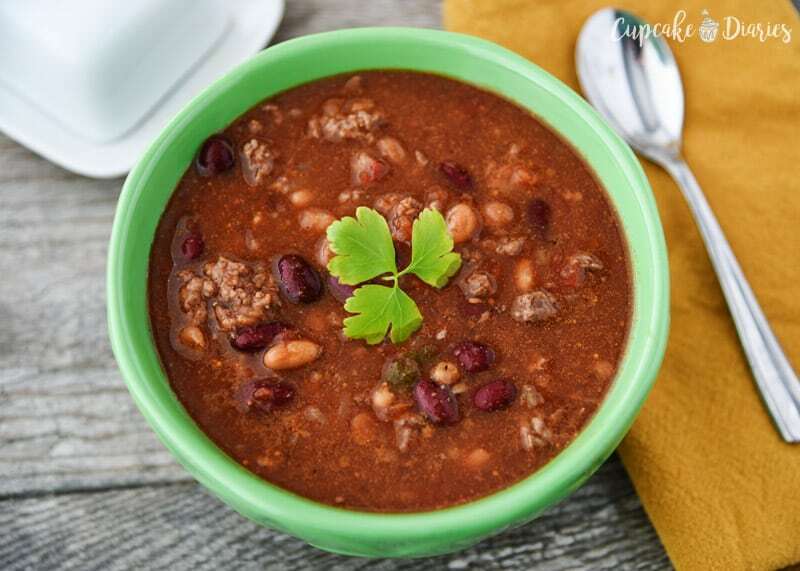 As I’m typing this, I’m dreaming of a hot bowl of this delicious chili full of hearty beans, beef, and that lightly sweet broth. Yummy! 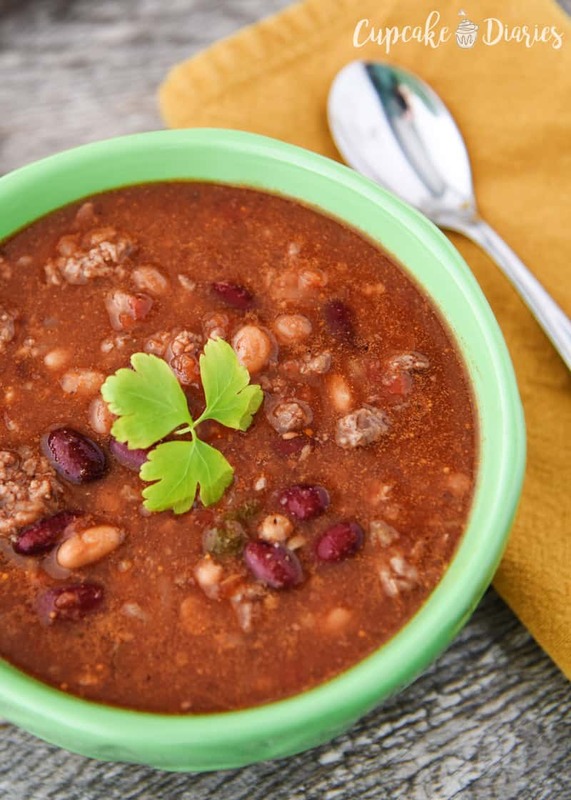 The S&W Kidney Beans are the perfect addition to this recipe for that fantastic red color and their great flavor. And they’re one of the easiest parts of the recipe! 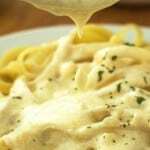 This recipe is special because it comes from a dear friend of my family’s. This chili is also known as “Billy’s Chili”, Billy being one of my dad’s best friends. Bill has since passed away, making this recipe even more special and wonderful. I can’t make this recipe without thinking of that guy and his humor. He is most certainly missed! I know a lot of people say their recipe is the best when it comes to all the recipes. 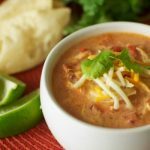 I’m not kidding when I say this chili recipe is the best! This isn’t like your typical chilis out there. It’s perfectly mild with a slight sweetness and it’s incredibly easy to make. 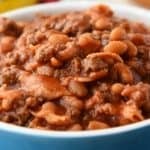 S&W Beans offers a wide variety of ways to use beans, including in a fantastic chili recipe for fall. 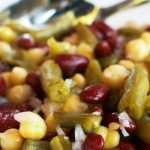 Kidney beans were such a yummy addition to this recipe and added really great color. S&W Beans simply look great and taste great. There’s no point in eating food that doesn’t look good or taste good! These beans offer both. And did you know beans can be used for more than just dinner? My Flourless and Eggless Chocolate Chip Cookie Pie recipe is the perfect example where I used S&W Garbanzo Beans. S&W Beans has the highest standards in the industry, delivering premium quality for over 120 years. These beans are perfect for people that are time constrained and looking for convenient and healthy food options. 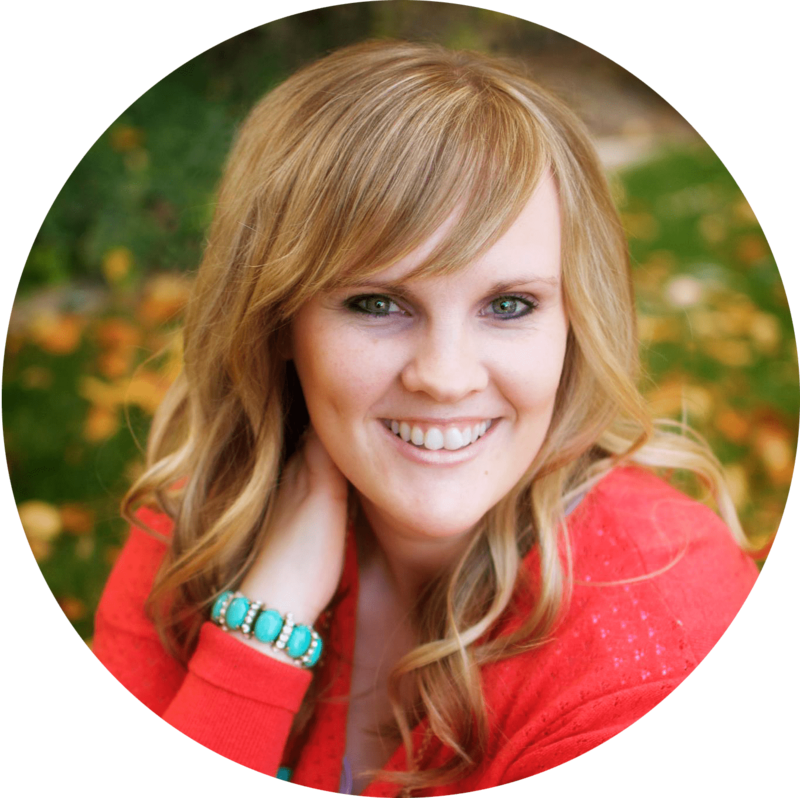 You will see what I mean by convenient when you see this recipe! You can get the beans in different varieties like 50% Less Sodium and Organic. One thing I love about this recipe is that you don’t have to do any straining or rinsing of the beans. Just pour all of the contents of the cans into your crock pot or soup pot and you’re set! 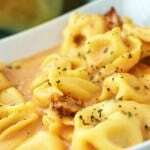 This recipe is great for a fall meal any day of the week. See what I mean about those great S&W Kidney Beans? So pretty. 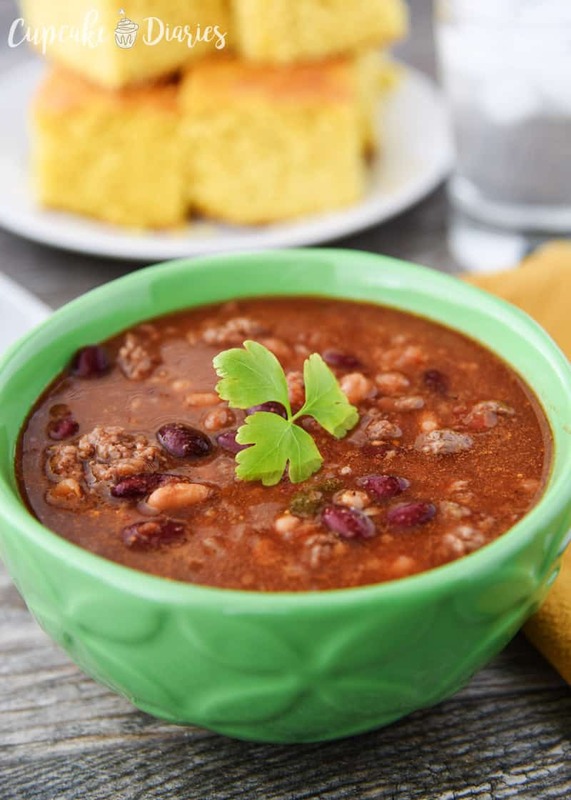 You're going to want to make this homemade chili recipe all fall and winter! This mild and slightly sweet chili is so tasty and so easy to make. Add chili seasoning and stir to mix in. Add water, chicken bouillon cubes, garlic powder, and sugar. Stir well to combine. Allow chili to simmer over medium-low heat for one hour, stirring occasionally. Serve and enjoy! 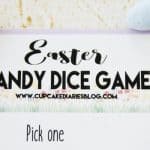 This recipe can also be made in the crock pot! Combine all ingredients and set on high for three hours. 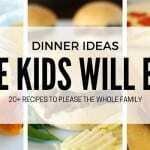 This is a great recipe to serve the family this fall for back to school! Loaded with all those fantastic beans and tons of flavor. 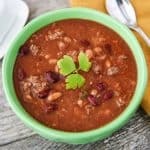 I hope you love this chili recipe as much as my family loves it! 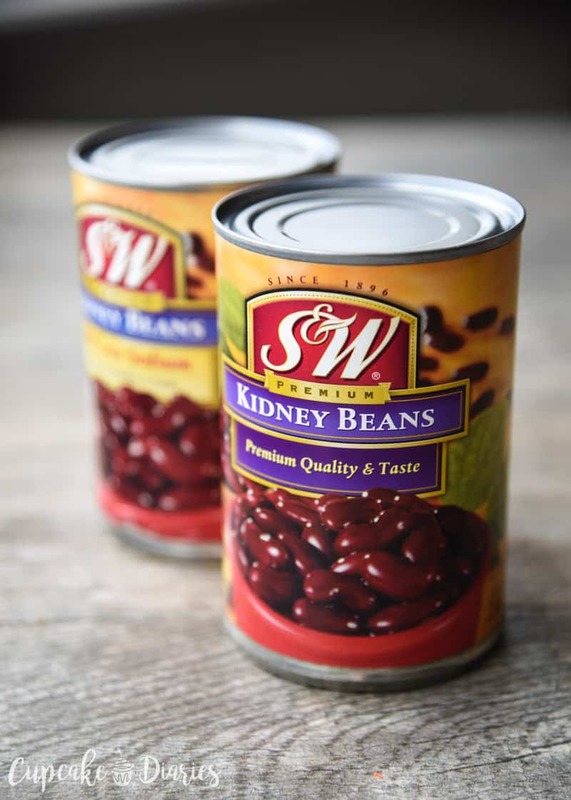 Now through 12/31/2017 S&W Beans is offering $1 off 2 cans of S&W Beans! Get (and print) your coupon from the S&W Beans website.